Terri Schiavo's 2002 CAT scan. 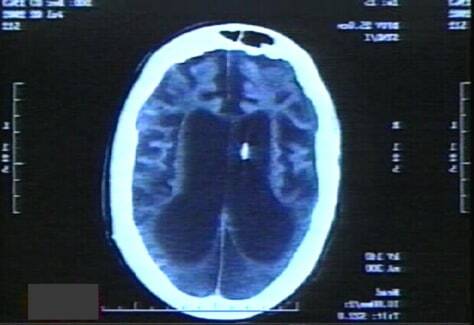 Ronald E. Cranford, M.D., who examined her in 2002, provides this scan of Schiavo's brain. Crawford is assistant chief of neurology at the Hennepin County Medical Center.